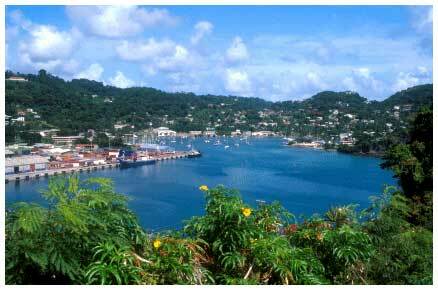 Grenada is the most beautiful island In the Windwards and perhaps the entire Caribbean. Grenada's physical beauty is complemented by its vibrant cultural heritage and rich history. It offers fun, excitement, romance and tranquility. With its 45 spectacular beaches, fabulous sailing ground and its breathtaking mountain lakes and rainforests, Grenada is truly a tropical paradise. 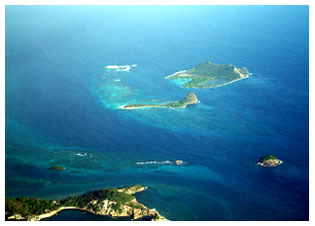 Most of the protected anchorages on Grenada are on the southern side of the Island. Saint George Harbour. The Carenage, inner harbour, is the centre of marine activity. It serves as an anchorage for every sort of vessel from small fishing boats to small cruise ships. The cannons dotted around are now used to tie up ships and originally came from the island’s forts. True Blue Bay is a reasonably well protected, pretty anchorage, and often the starting point of your Charter. True Blue Bay Resort is tucked into the lush green hills in the northeast corner. They operate the dinghy dock and mooring buoys and offer charterers use of their restaurant and bar. Prickly Bay often known as L’Anse Aux Epines, is a beautiful anchorage with clear water for swimming. Even though there a numerous yachts it really is peaceful and quiet. Prickly bay is the perfect spot to relax and take in the green vegetation and spectacular scenery; if you prefer to lie on the beach you can enjoy the golden sand at the Calabash. The bay entrance is wide but stay in the middle as reefs extend from the east side of the bay. There are white balls in the middle of the bay, these mark a reef so do not cross through them. Mt. Hartman Bay is a picturesque bay with lush forest surroundings. This large bay offers many anchor spots but can get a light chop at times. At the northeast arm of the bay near the mangroves you will have a great anchor spot that is well protected. This bay offers good yachting facilities, restaurants, bars and shops it is also great to pick up any last minute provisions. Located on the southern coast within Woburn Bay. The island is surrounded by coral reef and is a popular anchorage for cruisers. The island is privately owned and the increase of wildlife is being encouraged in this area so please take care not to disturb the marine life or animals. There are no shops or nightlife just the relaxing sound of the gentle waves lapping at the hull. The western coastline is covered with mangrove forest while the Eastern coastline is famous for its shallow reefs, making it great to snorkel. There are many other bays and anchor spots. Make sure you check your cruising guide as some of the inlets and bays are protected and anchoring is prohibited. 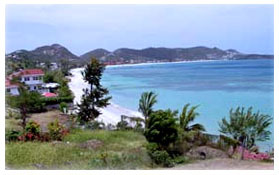 Grand Anse Beach is located on the Southern Leeward (west) coast. It is two miles of sandy white powder, this sheltered bay is a favourite to most visitors and is considered to be one of the best beached in the Caribbean. Magazine Beach is on the southwest tip of Grenada. Protected from the wind this is an ideal place for snorkeling, the small coral reefs are found on the southern end of the bay and the beach is another white Caribbean sandy paradise. 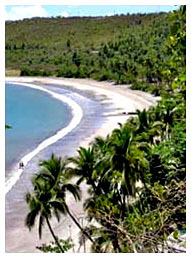 La Sagesse Beach is on the southeastern tip of Grenada. The bay is well protected and the beach has a large expanse of silver sand, the water is shallow and usually very calm. Levera Beach is on the Northeastern shore. This beach is usually deserted as it is much harder to reach by land and only has one main road running to it. 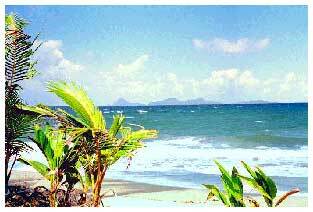 From this beach you have a spectacular view of Sugarloaf Island. 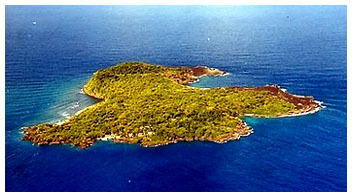 Caille Island is just 3 miles from Grenada and is the last island of the Grenadines chain. The 400 acre Island is privately owned and is covered in lush green vegetation, coconut and palm trees. The island is composed of 2 volcanic knolls separated by a flat plain. The island has 4 houses on it and the coastline to the north has sandy beaches and several small bays. Approximately 50 acres of green vegetation and a shallow sparkling turquoise lagoon makes this an ideal spot for swimming and snorkeling. The seawater evaporates in the large salt lagoon and in the old days this is where people collected their salt for household use, this is where Saline Island got its name. Always approach with care as these two islands are surrounded by reefs. On the North side of the Saline Island is a derelict building that you can anchor just off in the safety of the bay, with its sandy bottom this bay has reasonable holding. If you wish to visit White Island it is best to do so by dinghy as the reefs and coral rocks around the area are not easy to maneuver in a larger yacht. White Island is known for its one predominant rock which can be seen from far away. If you are feeling energetic you can climb to the top and have a spectacular view of the surrounding islands and your yacht anchored off Saline Island. The sand here is speckled with pink flints of Lambi (Conch) shell and so it is slightly more coarse than the other powdery beaches of Grenada and the Grenadines. Ronde Island is a private island, an emerald gem with beautiful topography of hills and small valleys, with several large well protected bays for yacht anchorage. A divers paradise, the islands marine life is prolific and stunning with underwater drop offs, vertical walls, coral-encrusted canyons and a cave you can swim through to an underwater cavern decorated with stalactites and quartz crystals. 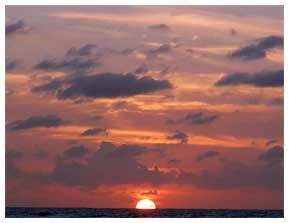 The coast is outlined with natural beaches and breathtaking views of the near by islands. Corn Store Bay is an excellent anchorage for this island, with 18 foot depths you can anchor very close to the shore. Don’t be surprised if you see several small fishing boats as the fish here are abundant. At the north end of the bay the reef offers fabulously clear water and great snorkeling. If you are looking to be alone this is the perfect anchorage for you, relax and unwind while you take in the scenery of this picturesque tropical delight. All around the island are reefs and the extremely clear and shallow water makes the snorkeling here amazing and catching fine fish for your BBQ grill is always a favourite. You can even have a fire on the beach and gaze up at the brilliance of the star studded sky. Please take all your waste back to your yacht when you have finished so that the next charterers can enjoy the un-spoilt islands. 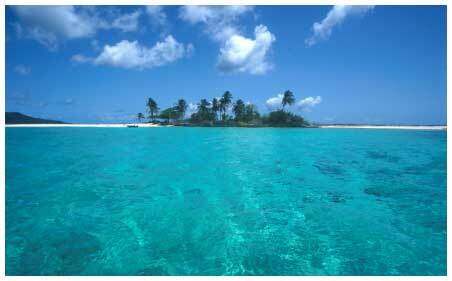 Carriacou is north east of the mainland Grenada and the largest of Grenada’s sister islands covering 78 square km. The island is surrounded by many sandy bays and indented coastline. Carriacou offers excellent snorkeling and diving among some of the Caribbean’s most pristine reefs, with its 6 mile barrier reef along the eastern side and its active underwater volcano it is a divers and snorkellers paradise. The Island is known for its sleepy, laid back atmosphere but is very lively and fun when they host their many traditional festivals. There are restaurants and bars and the island is never short of entertainment. 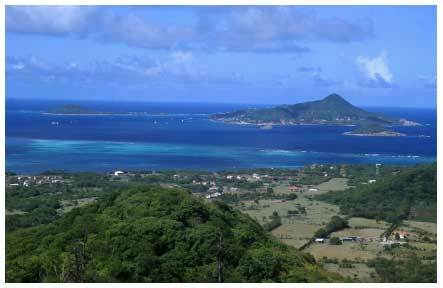 Tyrell Bay is the main anchorage of Carriacou, a very large horseshoe shaped bay with good protection and excellent holding. There are also marina facilities available. Being on the Leeward (West) coast the bay benefits from calm, clear waters. When you enter the bay there are reefs and a ship wreck, so check your chart well before entering and stay close to the marker buoys provided to help navigation. The atmosphere here is very laid back so dinghy into Harvey Vale and relax at one of the restaurants and bars. Explore the giant mangrove swamp in your dinghy; it reaches far back into the hills on the north of the bay. There are speed restrictions here so that you do not disturb the marine life and the water can get very shallow so be prepared to tilt your outboard motor so you don’t damage your propeller. Hillsborough Bay is a large open bay on the leeward coast used for clearing in and out of customs and immigration. When you anchor stay clear of the main commercial pier as it gets very busy. When you anchor you will be in about 20 feet of water so make sure you have enough chain out as the wind gusts can get quite strong and this will cause you to swing on your anchor. There is no real dinghy dock here only a small concrete block on the main pier. When you tie up you will be approached by youths to look after you dinghy for you, it costs $5ec and is recommended that you take them up on their offer. If you are going in for a short time leave a crew member with your dinghy. A few hundred feet of perfect golden sand with a few palm trees at the far end. It is a great place to go ashore and relax on the beach and catch a tan. Ideally it is only a day anchorage but if you decide to stay overnight make sure you have dived on your anchors to check they are securely bedded as there is no room for error. There is fabulous snorkeling here among the reefs and corals, the water is crystal clear and warm, making it a great stop for everyone. The smallest of the three Grenada islands is only 586 acres and a perfect hideaway. Volcanic in origin it is cone shaped with rich green hillside to the western shores and the eastern side of the island is uninhabitable due to its rocky formation. With around 900 inhabitants this island is fairly simple and interesting to visit but it does not offer much tropical Caribbean activities or entertainment. Fishing and boat building are the main industry for the locals on this island.